Electronics enthusiasts, developers and hobbyists interested in Programmable Logic may be interested in a new affordable development board which has been created by Earth People Technology based in Santa Monica, California. The MaxProLogic has been designed to provide an ultra-low-cost FPGA development board and is now available via Kickstarter to back with pledges starting from as little as $32 for earlybird backers and shipping expected to take place during January 2018. 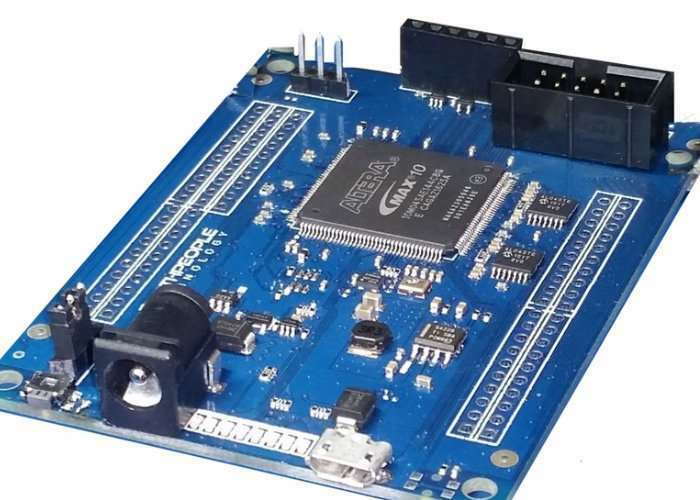 The MaxProLogic is an FPGA development board that is designed to be user friendly and a great introduction into digital design for anyone. The core of the MaxProLogic is the Altera MAX10 FPGA. This powerful chip has 4,000 Logic Elements and 200 Kbits of Memory. The MAX10 is easily scalable from the entry level college student to the most advanced projects like an audio sound meter with FFT. Among the many great features of the MaxProLogic is the MAX10 chip; ths a built in Flash for configuration and incorporates 8 channels of Analog to Digital Conversion. These two features alone create a far superior FPGA chip than any competitor on the market. It allows the user to create more diverse projects.